“Spectacular” is a very positive (good) word in English. It is related to the word “spectacle” which usually means something impressive or good to see. “Spooky” in English means scary, eerie, weird, frightening. We use this word a lot in association with the holiday of Halloween. For example: A spooky ghost; a spooky costume; a spooky house; a spooky decoration. We hope you have a very spooktacular Halloween next week! It will be very common to see Halloween events using this name. We found these and many more on the internet easily. What Does it Mean to be Called a Nut? Have you ever heard of the “Nutty Professor?” Has anyone ever said you were nuts? Calling someone a “nut” in English can be an insult. It means that person is crazy or acting in an insane manner. But, just like the word “crazy,” there are times when it can be a good thing. For example: “I’m crazy in love with you” is probably a good thing. Similarly, you could say “I’m nuts about you,” which means I like or love you A LOT. My high school Spanish teacher always called us his “bag of mixed nuts.” Mixed nuts are the nuts you buy from the supermarket and eat. He meant that in a nice way, as in we were crazy but he liked us. Sports and business have a lot in common. They both take hard work, are very competitive, and can lead to big successes or failures. It is not surprising that many sports idioms are used in daily American culture and also in business. An idiom is an expression that is not literal. Therefore, if you don’t know the idiom, it may be hard to understand what someone meant. Studying idioms is an important part of becoming fluent in English. The front runner (as you may be able to guess) is the athlete who is in the lead during a race. This person is in front, but hasn’t won yet. A front runner means the favorite or the person who is considered most likely to get or win something. In tennis, when the ball is on your side of the court, it is your turn to hit the ball. This is used to mean that it is someone’s turn to take action or make the next move. Unsurprisingly, there are many idioms, expressions, and phrasal verbs associated with love in English. Here are a few which might help you out, especially on Valentine’s Day! ask out (on a date) – to ask somebody out (or ask out somebody) is to ask them to go on a date with you, as a possible way of starting a romantic relationship with them. Example: He is too scared to ask her out. chat up – to chat up somebody (or chat somebody up) is to talk to them in a flirtatious way to show you are attracted to them, and to try and make them interested in you. British and Australian informal English. Example: I’ve been trying to chat him up all evening but he’s not interested. cuddle up – to cuddle up with someone is to sit or lie very close them in an affectionate way. Example: I love cuddling up with my husband. eat out – to eat out is to eat away from home, at a cafe or restaurant. Many people eat out at a restaurant on Valentine’s Day. Example: Let’s eat out tonight. I know a very good restaurant. fall for – if you fall for someone you become very attracted to them, or fall in love with them. Example: She fell for him as soon as she saw him. get together – if people get together they start a romantic relationship. Example: They got together in 2001 when they were working in Paris. go out together / with – to go out with someone is to have a romantic relationship with them. 1. Will you go out with me? 2. They have been going out together for six months. live for – if you live for somebody they are the most important thing in your life. Example: Marcus lives for his wife: he will do anything for her. move in together / with – to move in together is to start living with someone – usually someone you are having a romantic relationship with. Example: We’re moving in together in June. Example: She poured out her feelings and told him how much she loved him. run off with – to run off with somebody is to secretly go away with someone in order to live with them or marry them, especially when other people think this is wrong. Often used to show disapproval. Example: They were only 17 years old when they ran off with each other. settle down – when two people settle down together they set up a life together and perhaps get married, buy a house and start a family. Peter and Marcia are settling down and buying a house together. a heart-throb – a heart-throb is a good looking man; usually someone famous who is attractive to very many women. 1. In my opinion, George Clooney is a heart-throb; but Justin Bieber is not! 2. Many women think the actor Brad Pitt is a heart-throb. a broken heart – a broken heart (noun) is a feeling of great sadness and despair, especially when someone you love dies or does not love you. 3. His heart is broken because she doesn’t love him anymore. a heart-to-heart – a heart-to-heart talk (noun) is a completely open and honest private discussion between two people. We had a heart-to-heart talk last night to try and work out our problems. wear your heart on your sleeve – if you wear your heart on your sleeve you are very open about your feelings for someone, and everyone can see how you are feeling. fall head over heels in love – to fall head over heels in love with someone is to fall in love with them very suddenly, and with great intensity. Example: I met my husband at university and fell head over heels in love with him on our first date. lovebirds – if two people are clearly very much in love with each other they are often called ‘the lovebirds’. Lovebirds are small parrots that are well known for showing great affection to their mates. puppy love – puppy love is the love or romantic feelings felt for someone by children or young adolescents. Often used in a negative or derogatory way. Example: It’s only puppy love. They will soon forget about it. What does “A Dime a Dozen” mean? 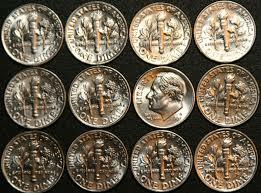 “A dime a dozen” is a phrase which is used in reference to anything which is common and/or cheap. A dime is an American unit of money equal to ten cents (a small amount of money), and a dozen means twelve of something. In other words, the thing is very cheap, less than a penny each. What does “the lion’s share” mean? “The lion’s share” is an expression that means most of or the majority (but not all). It is a somewhat formal expression suitable for workplace and academic writings and presentations. 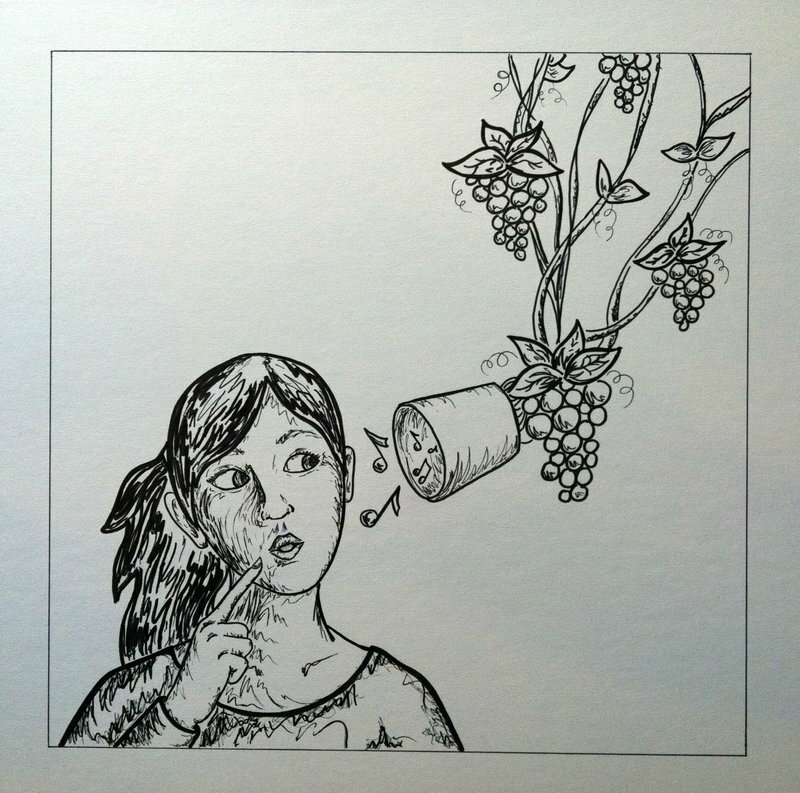 What does “Hear it through the grapevine” mean? If you hear something “through the grapevine” it means that you have heard a rumor about someone or something. If you use this expression, it also helps you protect the name/identity of the person who told you the rumor. Have you heard something through the grapevine recently? -David: I heard it through the grapevine that you are looking for another job. Is it true? -Bob: Wow, how did you know that? I only told a few people. But yes, it’s true. Please don’t tell anyone else.